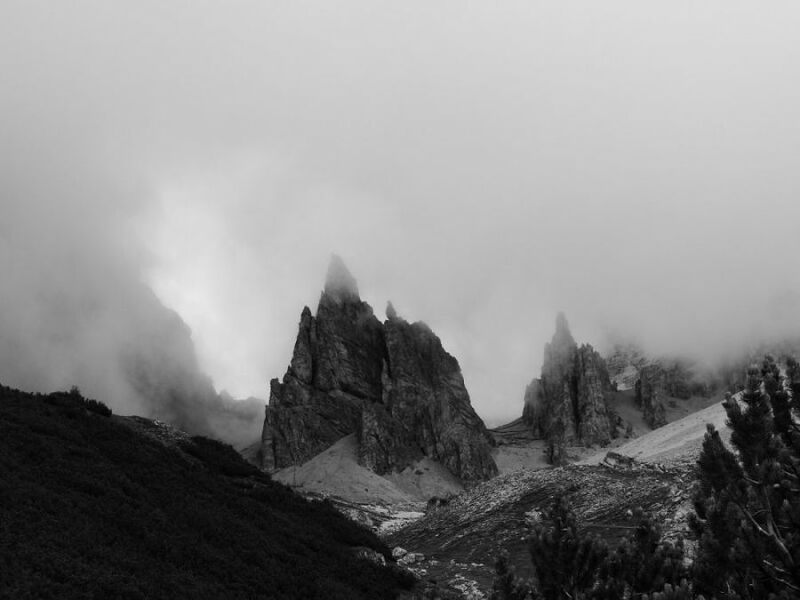 The Dolomites, although a part of the Alps, are unlike any other range of mountains. These limestone peaks form great spires, sharp summits and serrated ridges, which turn magnificent colours at sunrise and sunset. Below the rocks are grassy meadows and shady forests, and valleys riven by roaring rivers. This is certainly a region of contrasts with exceptional scenery and fine walking. An additional and ever present aspect of the whole region is the tragic fighting that took place during the First World War on the Austro Italian frontier. Several mountain sides bear the scars of these vicious battles and some of our walks will take us to visit the relics of this poignant time. This 6 day takes us through some of the finest and most spectacular parts of these mountains. high passes and under soaring peaks. The accommodation is largely in mountain huts which are usually situated in stunning positions and we’ll enjoy fabulous light and shadows each evening and early morning. Although we do not do the AV2 in its entirety, our 6 day route will take us through the Odle, Puez, Sella and Marmolada groups (as the ranges are called inn the Dolomites). I cannot stress enough what an amazing region the Dolomites is. 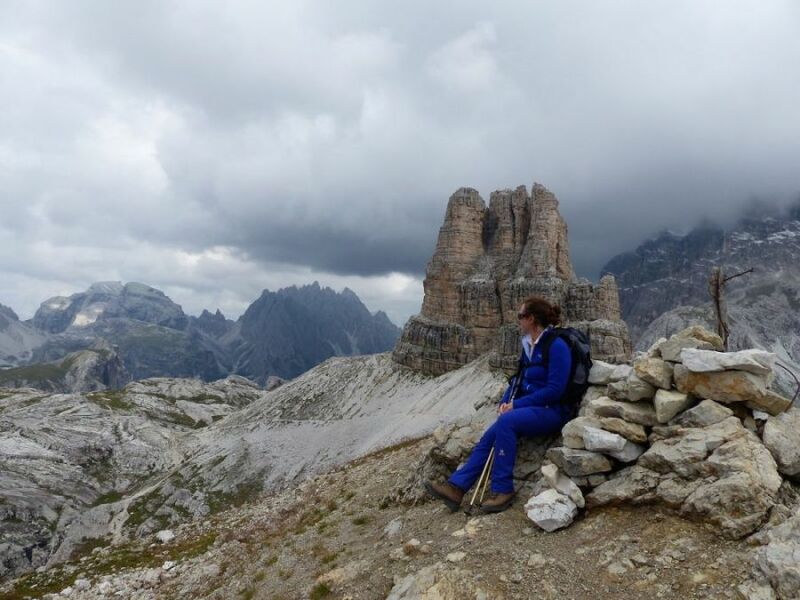 The scenery is spectacular, the walks wonderful and the food Italian – highly recommended. MEET: Bressanone (also known as Brixen). Hotel details will be sent on booking. TRAVEL: Various airport options, the best of which is Innsbruck. Train onwards to Bressanone. ACCOMODATION: The holiday price includes bed and breakfast and dinner throughout, based on double occupancy of roms in the hotels and shared dormitories in the huts. Picnics and drinks are not included throughout. EQUIPMENT:We’ll keep our sacs light, the huts provide all we need – bedding and food, although a sheet sleeping liner is required in Italian huts. A full list will be sent on booking. I strongly recommend trekking poles as the terrain can be quite steep. DIFFICULTY: 2/3 The days are generally quite long. Be ready for ups and downs as usual and bring hiking shoes or boots with good soles. The cabled sections of the trails are short and there are not many of them.